Thousands of worms being blasted into space could be "too old" for research when they get to the International Space Station (ISS). 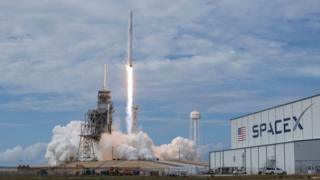 The launch of a SpaceX rocket was delayed after mouldy food was found among another research team's kit. The worms were meant to be "just turning into adults" at the launch. The 24-hour delay means that the worms will be a day older than planned when they reach the ISS, and the research teams may have to rely on "back-up colonies" that will need to be prepared for their unexpected trip. 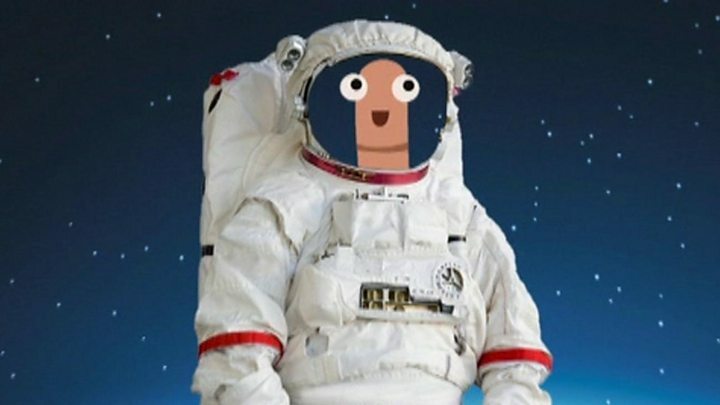 Libby Jackson, from the UK Space Agency, said: "The timing will be quite critical to the worm research, they were ready to go into the capsule and it had been timed that they were just turning into adults at the time of launch. "That's now all gone out of the window because everything has shifted by a day. "This is what happens in space flight, we've always got to be prepared." The Molecular Muscle Experiment aims to "understand the causes of neuromuscular decline in space", she added. A Russian Soyuz crew ship launched from Kazakhstan on Monday with two new astronauts - Anne McClain, an American who studied at Bath and Bristol universities, and Canadian David Saint-Jacques, who studied at Cambridge University. The worms share many biological characteristics with humans, according to Exeter University, including "alterations to muscle and the ability to use energy". Dr Timothy Etheridge said space flight represented "an accelerated model of the human ageing condition". "Hopefully by understanding molecular causes and counter measures against that, space flight may provide an opportunity to understand human ageing on earth," he added.